Reports from Saturday are that the course was a good test of golf with some interesting rough if you went in it. Graham reported that most people seemed to enjoy playing it. The winner with 38 pts was Andy Wren . Runner up was Andy Mc Garry with 37 pts. 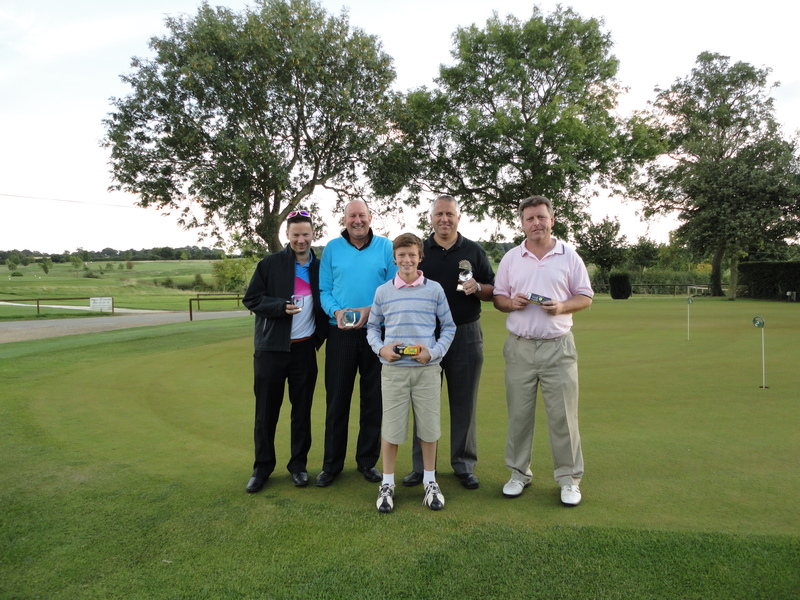 Longest drive was won by Nigel Pauley. Nearest pin Paul Jones . Young Jarrod Sharp made up the numbers because we were one down and promptly got 33 pts beating his dad by 3 pts so he was awarded the Captains prize a great performance. We also saw the knock out semi finals played, well done too Andy Wren and Paul Jones for going through to the final. Members handicaps updated after Rutland County Golf Club on Saturday.